National Language + National Anthem = National Unity? This week, the world welcomed a new sovereign nation into existence. 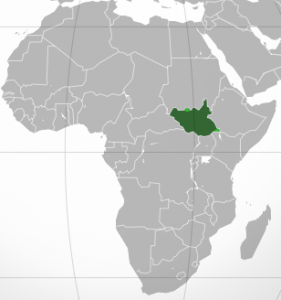 On July 9, 2011, the country of South Sudan officially seceded from the northern Khartoum-based government of Sudan. The new country, roughly the size of Texas, has 8 million residents. 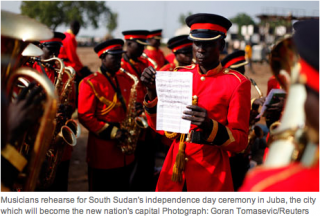 The new capital of Juba, with about 1/4 million people, welcomed foreign dignitaries into town for independence festivities. 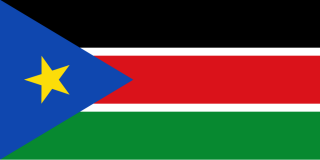 There have been many reasons for South Sudanese to wish for independence and self-determination. Racially and ethnically, they are black Africans representing 200 different tribes. The major organized religion is Christianity (through a history of missionaries), with smaller populations of Islam and animist religions. The North is overwhelmingly Muslim, logical given its proximity to Egypt and the Arabian Peninsula. Ethnically and linguistically the North identifies as Arabic. Because of the great ethnic/linguistic diversity of South Sudan, its official language will be English. This arrangement seems odd because almost no South Sudanese speak English as their first language. The largest ethnic group is Dinka, approximately 1/3 of the population. With no one ethnic group in the majority, it would be awkward to choose one as the language of government. In the past, Arabic was imposed from the north, and both language and culture were despised. While English is not an indigenous language, it seems a logical choice, perhaps because of the British colonial legacy, perhaps because of its connection to Christianity, but maybe mostly because it is a dominant language of international commerce. Government representatives are now busy traveling around the country teaching people to sing their new national anthem. This represents the first of a major challenge: to educate people to learn a language which few speak. Interestingly, an emerging second language for the South Sudanese may well be Chinese. Due to the large oil reserves in the country, Chinese petroleum workers have been flooding into the country. Creating a sense of national unity will be no small task. Perhaps this anthem will be a first step. For more details on this newly independent land, read here.